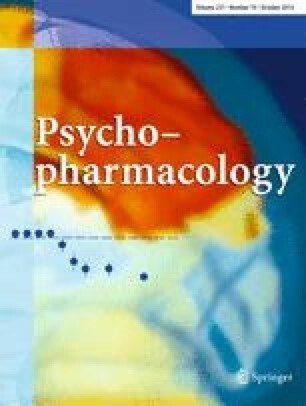 Several laboratories have conducted placebo-controlled drug challenge studies with 3,4-methylenedioxymethamphetamine (MDMA), providing a unique source of data to examine the reliability of the acute effects of the drug across subject samples and settings. We examined the subjective and physiological responses to the drug across three different laboratories and investigated the influence of prior MDMA use. Overall, 220 healthy volunteers with varying levels of previous MDMA experience participated in laboratory-based studies in which they received placebo or MDMA orally (1.5 mg/kg or 125-mg fixed dose) under double-blind conditions. Cardiovascular and subjective effects were assessed before and repeatedly after drug administration. The studies were conducted independently by investigators in Basel, San Francisco, and Chicago. Despite methodological differences between the studies and differences in the subjects’ drug use histories, MDMA produced very similar cardiovascular and subjective effects across the sites. The participants’ prior use of MDMA was inversely related to feeling “Any Drug Effect” only at sites testing more experienced users. These data indicate that the pharmacological effects of MDMA are robust and highly reproducible across settings. There was also modest evidence for tolerance to the effects of MDMA in regular users. This research was supported by DA02812 and DA026570 (Chicago: Harriet de Wit PI), DA017716 and DA016776 (SF: John E. Mendelson PI), and SNSF320030_138481 and SNFF32323B_144996 (Basel: Matthias E. Liechti PI).